Africa’s tech hubs play home to many of the continent’s top entrepreneurs and innovators, so not only do we at Disrupt Africa visit as many as we can, we follow their news keenly. Here’s a round-up of what happened over the course of 2015 among Africa’s tech hubs. The year started with good news from Zambia – Lusaka-based hub BongoHive moved to larger premises in January, in a bid to better serve Lusaka’s growing startup community. The community was promptly asked to get involved with designing the layout of the new space! Impact Hub, which has 54 hubs across the world with over 7,000 members, announced the launch of its Resilience Africa initiative in partnership with Dutch NGO Cordaid, for the establishing of hubs in six countries – Burundi, the Democratic Republic of Congo (DRC), Ethiopia, Kenya and Sierra Leone. The EUR373,000 (US$432,000) Joint Hub Fund Programme established in Africa by the DOEN Foundation, Hivos Foundation and Indigo Trust awarded its first four grants, with Cameroon’s ActivSpaces, Uganda’s HiveColab, Ghana’s iSpace and Tanzania’s KINU boosted in their efforts to support entrepreneurship. In February, Tanzania’s Buni Hub made headlines, having developed a 3D printer made from e-waste, the first of its kind in East and Central Africa. Government-funded Botswana Innovation Hub (BIH) announced the launch of an Innovation Fund to provide seed funding to startups in the country. Cape Town gained a new co-working hub in March, with the launch of Platform9 office; as did the western Kenyan town of Kisumu, as LakeHub opened its doors. Kenya’s famed iHub celebrated its fifth birthday in March with a party, and released a list of the top 100 community members who have contributed to the country’s ecosystem over the years. And then, Kenyan President Uhuru Kenyatta made an unannounced visit to tech hubs iHub, m:lab East Africa and Nailab, to hear about and meet innovative startups based at the hubs – to much excitement. South Africa’s Cape IT initiative (CiTi) opened a Bandwidth Barn hub in the Khayelitsha township, with the project aiming to address the need for “inclusive growth” in business. West African co-working group Jokkolabs opened a new space in Banjul, the Gambia, in May, claiming to be the first co-working space in the country (check out our “5 African hubs you didn’t know about”). Morocco’s Blue House came to light – a sort of retreat for entrepreneurs – providing startups with rooms, food, laundry services, high-speed internet, transport and discounted sport offerings. The Impact Hub Johannesburg co-working space was closed down as of July, following five years of operation, due to the facilities being no longer “good enough”. 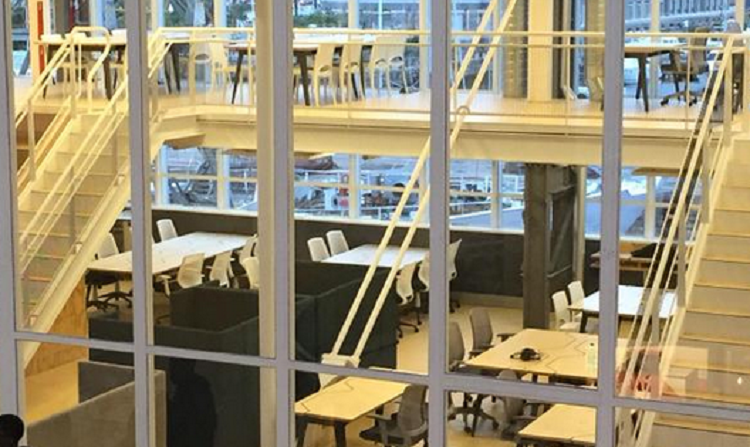 In August, Cape Town again got a new co-working space, in the form of Workshop17, located at the V&A Waterfront. Nairobi’s biggest co-working space Nairobi Garage got even bigger in November, launching a second premises, which it claims makes it the biggest co-working company in Africa. Kenya’s Bungoma County also weighed in, announcing the launch of a US$2 million tech hub. In December, we had the sad news that Zimbabwe’s Hypercube hub is closing at the end of the year, having failed to secure the necessary funding to continue operations; fuelling discussions about hub sustainability.